Have you ever had a case where you had to perform an invalidation search and you need a prior art for a claim at the heart of which has a mathematical expression? Needless to say, you wouldn’t like gambling your case on just any prior art. What keeps you from the most desired prior art for a patent with mathematical expression? On top of this, we also need to consider that patents are cryptic documents. They may also use any combination of symbols for the variables. So the ways in which an equation could be written are virtually endless. The document of interest may not have any equations at all! It should be appreciated that the present invention assumes a linear relationship between the force applied by block 101 on the block 103a, and the acceleration produced in block 103a in response to the force applied thereto by block 101. The reset indication information is transmitted in the even numbered slots. The reset indication is transmitted firstly in slot 0, and then in every alternate slot. So is there any way to cracking such critical claims where an expression is claimed? Definitely yes, there is always a way. Though it is not a cake walk, but it depends on how the concept is being perceived and what strategy is to be used. The invalidation search for such patents may seem like a rocket science as one cannot directly find claims with the expression present in them. The equation may be providing a simpler or faster way of calculating a variable which could land up to a relevant approach challenging the claimed equation. There can be numerous phrasal, variables and annotations via which a claimed variable can be mentioned like ‘Number of resource blocks’ may be written as numRB or num_RB or n_RB or nRB etc. such may get skipped or remain hidden with their meaning which could actually be our weapon of victory. When equations are not written but the text implies the relation. Words like ‘equal to’, ‘equals’, ‘proportional’, ‘proportionately’ and others relate to the expression logic in word form. During a search, such words can be of help while interpreting the required concept present in a phrasal form. In the above manner, we can channelize the search. Sometimes B can be written as B = C + D, so analysis has to be done on the ultimate and intermediate variables, using which the same equation can be written. 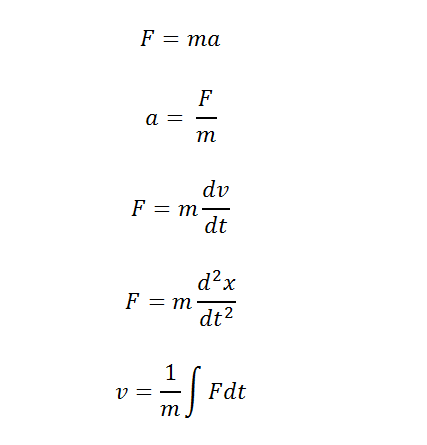 If the equation uses any special mathematical functions, e.g. factorial, floor or ceiling function, these words should be searched. Such functions may be mentioned directly as they are way specific in their meaning. An important point while performing a patent invalidity search for such concepts is that you are very careful while analyzing/interpreting the patents. As interpreting the references can be a complex task, hence we come up with below guidelines that may help you. Rearranging variables in the reference may yield the same equation. This is because sometimes the expression claimed or mentioned in the search reference is portrayed from a particular point which if rearranged can turn up the same expressed as required. As we have shared in past, finding a result in a patent invalidity search is more about having the right mindset rather than the search strategies. Search strategies cannot get you the result if your mindset is not tuned correctly. So try to build a culture where a patent search is not perceived as a search but as a challenge. Next Step: Explore more patent invalidation strategies and create your own smart patent invalidation strategy using these tactics.